Fake blood make-up for professional horror effects. 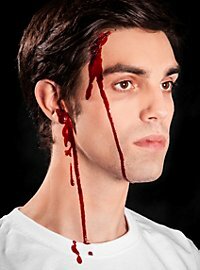 It flows in thick, red drops like real blood and looks extremely realistic after it dries. You may need blood for any number of reasons. 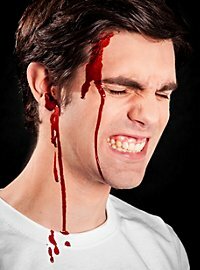 For zombie or vampire attacks, after chain saw or machete injuries – blood is in the air at Halloween time. 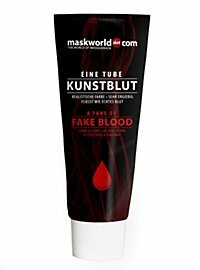 The Tube of Blood from maskworld is a realistic SFX product. 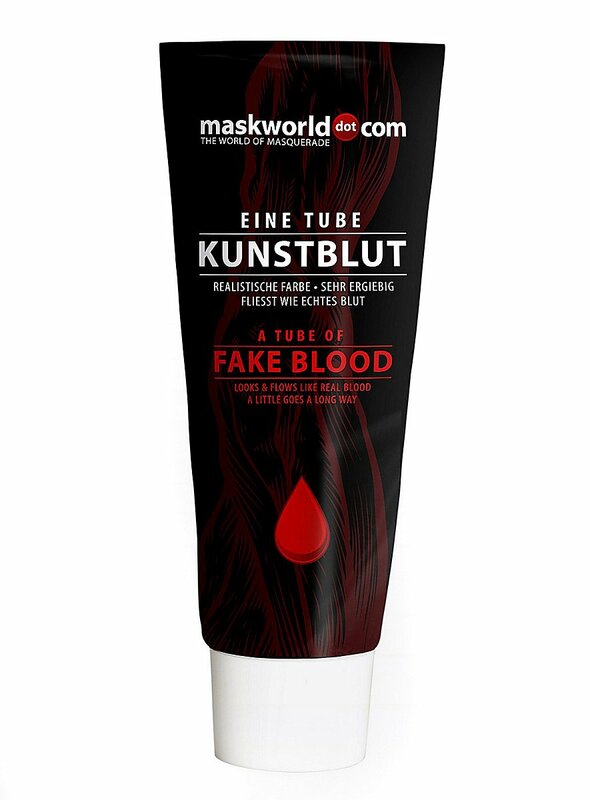 It flows in thick, red drops like real blood and looks real after it dries. You can use it to make latex wound applications bleed or create gruesome, bloody party decorations. 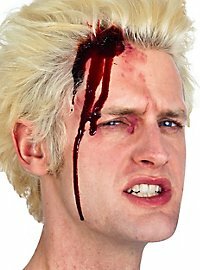 Use it direct from the tube to leave a bloody trail exactly where you want it: to create a bloody nose or a split lip, for example. 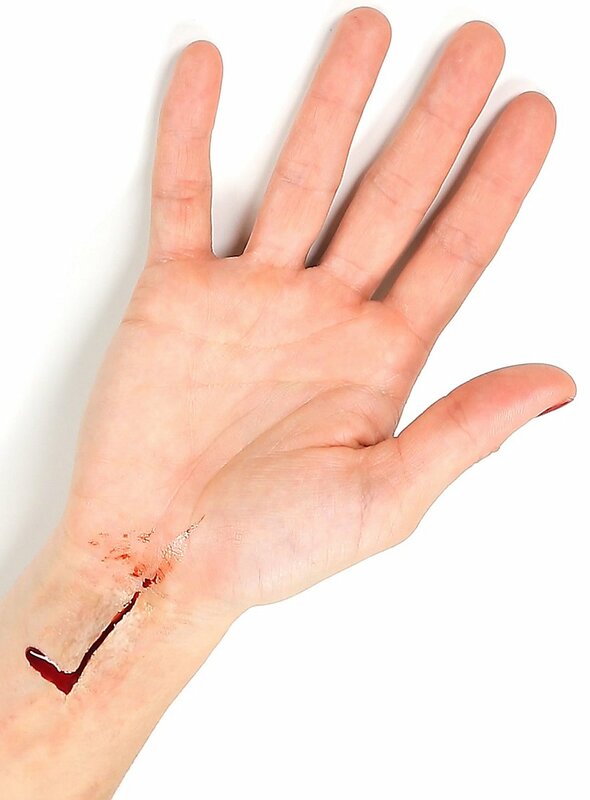 With a "bloody" brush, you can even draw cuts directly on your skin. Regardless of what you use it for, fake blood from our Tube of Blood will always look like fresh, real blood! You can spatter it, fill other things with it, dip objects into it... your options are infinite.